Gold is likely to recover to above $1,300 an ounce next year as a pickup in physical demand counters more potential US rate increases, a Reuters poll at an industry event showed. 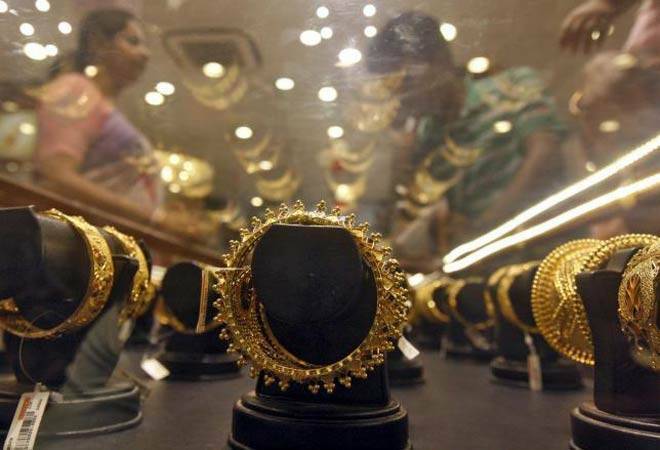 The precious metal had lost nearly 9 per cent from July's two-year highs to trade around $1,255 an ounce on Tuesday, hit by expectations the US Federal Reserve would raise interest rates in December for the second time in a year. Next month's closely watched US election could spur some safe-haven buying, but any Fed moves will remain key to gold's fate, according to 11 analysts, bankers, traders and refiners attending the London Bullion Market Association conference in Singapore. Gold will end the year at $1,275 an ounce, before rebounding to $1,305 in 2017, based on the median estimates in the poll. "The road is going to be bumpy, but the general trend next year will be upward," said Joshua Rotbart, managing partner at Hong Kong-based bullion service provider J. Rotbart & Co. He sees the price at around $1,350 in 2017. Rotbart said he was initially predicting gold to spike similar to its June rally after Britain's shock vote to leave the European Union, with US Republican presidential candidate Donald Trump gaining ground over Democratic rival Hillary Clinton ahead of the Nov. 8 election. "Now, when it seems like he's losing the support, we'll have to look for the next challenge," he said. But HSBC analyst James Steel said market participants would be more focused on the Fed's tightening cycle. After averaging at $1,275 in 2016, the metal should recover to average at $1,310 next year, he said, as "the market would have absorbed the rate hike impact and improvements in physical demand would likely push the price up". A Fed hike in December would be the second since December last year when the US central bank raised rates for the first time in nearly a decade. Gold is sensitive to higher US interest rates, which lift the opportunity cost of holding non-yielding bullion, while boosting the dollar, in which it is priced. "Next year, I expect the Fed to be a bit more aggressive in tightening," said Shekhar Bhandari, executive vice-president of India's Kotak Mahindra Bank, who sees at least two US rate increases in 2017 which should cap gold at $1,275.